Toxins are released into our air from burning wire. Because wire and cable is often tucked out of sight, it is easy to ignore the sheer volume of its application in our lives. 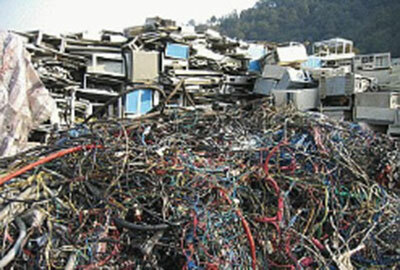 Yet this volume is what makes the disposal and recycling of wire and cable such an increasingly pressing environmental issue. Ecologically minded consumers and government bodies have put increasing pressure on wire and cable manufacturers to phase out toxic wire coatings that can release toxins during incineration. Many materials such as TR-XLPE and EPR resins cannot be recycled at all. Yet the industry continues to use un-cycle able TR-XLPE and EPR, because most alternatives lack TR-XLPE and EPR performance. Clearly, the status quo needs to change. Philatron offers a new innovative solution: Advanced technology has expanded opportunities for developing a new bred of medium voltage cables. The increasing emphasis on environmental concerns - such as recyclability has led Philatron to seek innovative solutions. Philatron’s new Bronco-EF™ Environmental Friendly Power Cables are made with a special proprietary blend of recycleable thermoplastics which out performs TR-XLPE ( tree-retardant cross-linked polyethylene) and EPR (ethylene propylene rubber). Philatron’s Bronco-EF™ cable has a higher dielectric strength value of 38 compared to the TR-XLPE dielectric strength value of 30. 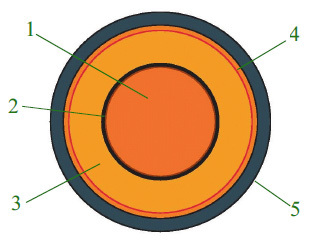 The High-Voltage Tracking Resistance (HVTR) of Bronco-EF™ cable’s insulation material is zero - giving the benefit of zero arc rupture exposures. 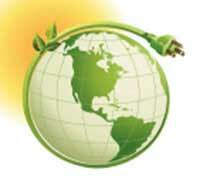 Bronco-EF™ cables are toxic free and are well suited for recyclability - unlike TRXLPE and EPR insulated power cables. 1. Soft Anneal Copper Conductor. 3. High Di-electric Strength Thermoplastic Elastomer Olefin Rubber. Temperature Rating: +105°C to -70°C. Resistant to Abrasion, Chemicals, Ozone, Oil, Sunlight, Water, and Electrical Arc Rupture. Environmental Friendly - Contains No Toxins. 5. Bronco125™ Thermoplastic Vulcanizate (cross linked) Olefin Rubber. Temperature Rating: +125°C to -65°C. Resistant to Abrasion, Chemicals, Flame (MSHA Certified), Ozone, Oil, Sunlight, and Water. In today’s world of global activities, applications of cables in any climate in the world is critical to the integrity of your electrical systems. If the cable fails your system fails. The cables you install to power your systems must be capable of withstanding environmental abuses of abrasion, heat, cold petroleum chemicals, and harsh handling. Bronco125™ cables are designed to meet the challenges of your system anywhere in the world. Bronco125™ cables gives you excellent flexibility and superior operating temperature ranges from +125°C to -65°C. Bronco125™ value-to-cost ratio is very high. Bronco125™ cables are intended for users who requires maximum dependability with minimum replacement and down-time expenses.